The old part of the city of Sehwan, Sindh, is built on a high mound of the earlier buried city, much like ancient Mohenjo-daro. A neighborhood well is located alongside the street that has an open drain. 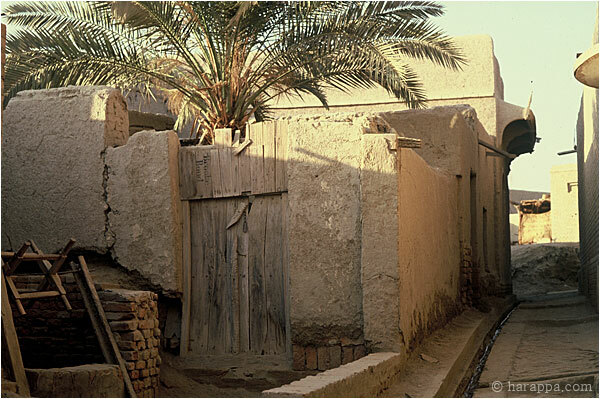 A private courtyard is shaded by a date palm. Small drains from the houses on either side of the street lead to the main street drain.